Every year in September the National Association for College Admission Counseling (NACAC) has its annual conference. NACAC is a great organization made up of high school counselors, independent educational consultants and college and university admission officers and I’m proud to have been a member for years. Along with 6,000 other professionals I attended this year’s event in Columbus, Ohio as part of the Method Test Prep team, and as always I enjoyed making new friends and renewing old acquaintances during my four days in the Buckeye State. Going into the conference, two of the sessions I looked forward to most were the separate presentations from David Coleman and Marten Roorda, respectively the chief executives of the College Board (owners of the SAT) and the ACT. 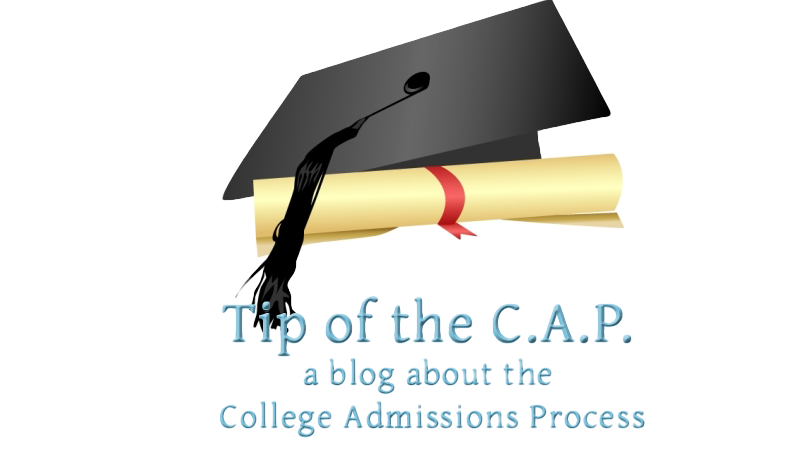 After so many changes, so much anxiety, and extensive confusion regarding the two tests, I thought that there would be great interest in hearing directly from these two leaders just what they thought of the current state of college admissions testing. I’ve uploaded my notes from the session (typed as quickly as I could while the men were speaking) for your reading pleasure; what follows are some observations after having a few days to think about what I heard. While many people doubtless wanted to see a heavyweight showdown with the two men on stage at the same time, it wasn’t to be. David Coleman spoke on Thursday afternoon, and Marten Roorda spoke in the same room the next day. Coleman’s session was formatted as a “Q&A”, and Roorda’s being more of a prepared speech. The room was gigantic, with hundreds of seats, a large screen and microphones scattered throughout the audience for questions. The first thing that was evident to me was how many empty seats there were for Coleman’s session. At NACAC 2015 I was totally shut out of the one session I really wanted to see, which featured admissions data guru Jon Boeckenstedt of DePaul University–even the overflow crowd was too much for the fire marshal’s taste. Fearing a similar situation, I arrived extra early for Coleman, but more than half of the seats were empty. Interestingly, this session was counter-programmed with another presentation by Boeckenstedt–perhaps that’s where everyone was? Or it could be that people are frustrated by the poor communication from the College Board over the last year; as one of my friends said “I’ve left too many College Board presentations angry to want to go to this one”. That said, at least 300-400 people were present to hear from the usually quiet Mr. Coleman. Q: Why no fee waivers for the CSS Profile (an extra, fee-based tool some colleges use for financial aid decisions)? “It’s not fair. But I can announce that all students who qualify will automatically get CSS Profile waivers. It’s wrong to keep asking families to say they are poor and to prove it for small amounts of money. We will do better. This is effective now.” This was a wonderful remark that showed Coleman’s fundamental humanity, and it’s a shame that the audience treated it so skeptically. Q. Regarding the ACT’s disavowal of the concordance tables between the new SAT, old SAT and ACT, how should we counsel our kids? “Concordance is necessary, but a necessary evil….I have good news for you. We and ACT have come to an agreement, and we will work together with all deliberate speed to have a new concordance for 2018.” I’m not sure if anyone else noticed the quote from the slightly less famous Brown v. Board of Education II opinion, but to me “all deliberate speed” is the classic example of an oxymoron; I can only hope this time it works better than it did in the fifties. With about a half hour left in the session, we were told that Coleman would take 15 minutes of questions. Quite a few people lined up at the microphones. At the end of 15 minutes, after we were told the session was over, Coleman (magnanimously?) agreed to another 15 minutes. Whether this was staged or just simple confusion I can’t say. The questions from the audience were a bit more pointed and the responses generated a little bit of news, and demonstrated a bit more evasion than in the prior examples. One very abrasive questioner, for instance, expressed her frustration with the process to grant students with disabilities accommodations (extra time, scribes, readers, etc. ); “why does it take so frigging long? It’s ridiculous! What the hell? !” Coleman was calm and empathetic, saying “you’re right, by the end of the year we will announce substantive and significant simplifications of the appeal process”. He also noted that accommodations for English Language Learners will be available soon, at least for the School Day Testing sites. That was good to hear, and somewhat newsworthy. Along the same lines, James Murphy of the Princeton Review (who wrote the Atlantic article mentioned above) asked when the SAT Subject tests will go to 4 choices per question with no guessing penalty (like the revise SAT) if it is so much better. Coleman said that was a “good point. The future of the subject tests is non-trivial” to the College Board, and he speculated that they might be redundant due to Advanced Placement tests. The possible elimination of the subject tests is, to me, quite newsworthy. According to Adam Ingersoll of Compass Prep, currently very few (you can count them on one hand) schools explicitly require these tests (down from nearly 100 earlier in the decade), though many “recommend” them, which serves only to enrich the College Board, in my opinion. Dropping these tests from the to do lists of over-burdened, over-tested and over-stressed high schoolers would be a good idea, but not if the idea is to replace them with Advanced Placement tests, since not every student has access to AP curricula at their schools. Coleman was more evasive on the topic of standardized test bias. An independent consultant from South Florida asked about the latest article from Reuters about SAT and ACT problems that says that the designers of the new SAT knew in advance that there was a racial bias in the new math questions. The article is worth a read, and it notes that the vocabulary in the much wordier math questions on the new test may cause problems for racial minorities, English language learners and economically disadvantaged students. Coleman only talked about the second group: “We have found that ELL students who might have trouble with wordier questions have no measurable problem completing the test. We will do everything we can to simplify the math section. Superfluous words are superfluous. But we will not go back to useless math questions. We will have elegant, brief, easily accessible math questions.” I was disappointed that he didn’t take the chance to give a forceful defense of why the new SAT fixes the racial biases in the old test. Maybe it’s because he can’t? the final question that was posed seemed to be an outgrowth of the writing of my friend Jim Jump. Coleman was asked why there is no “ethical, moral or philosophical dimension” to standardized testing. He replied by saying that the exam isn’t an ethics test, but that “the ethics of admission is a core issue of our time”. He said that College Board research (you know what I think of that) shows that devotion to just one activity correlates most directly to future success. He thinks that the College Board is “partly culpable” in the “activities arms race” and wondered if the Common Application would be better off listing only three slots for extra-curricular activities instead of 10. After Coleman’s talk, speculation was rampant about what kind of approach Marten Roorda would take. Coleman seemed SO contrite and empathetic that some wondered how the ACT boss would approach the recent failures and confusions his company had perpetrated. I arrived early again, but definitely didn’t have to rush; there were less than 100 people in the very large room at the outset of the event, and as it went on people kept leaving in frustration, to the point that I counted 71 people at the end. 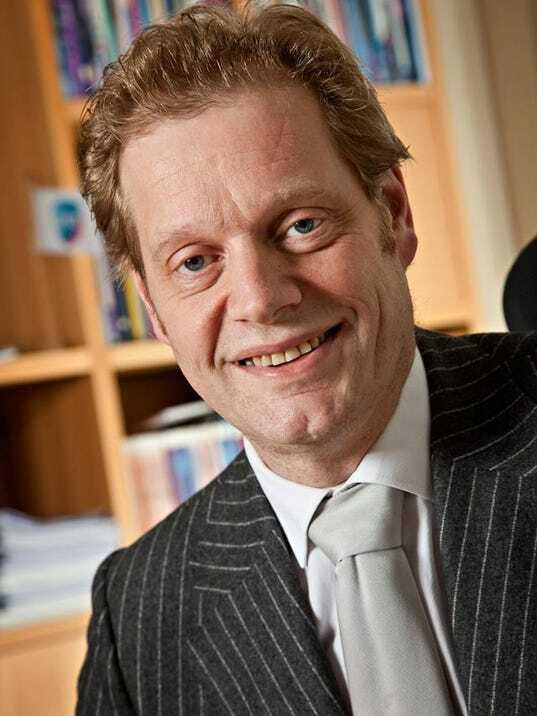 Marten Roorda took over the helm of the ACT in 2015 after previously running one of Europe’s largest testing firms in his native Netherlands. His presentation struck this former public speaking teacher as one of the weakest I’ve ever seen. Roorda has a deep, soothing voice with an accent that isn’t hard to understand, but that definitely takes concentration to fully understand. He employed a PowerPoint slide show, but the text was far too small for me to read in my seat at the rear of the room. Worst of all, Roorda made next to no eye contact and simply read a speech. Joyce Smith, the CEO of NACAC introduced the speaker and tried to set the tone: “It’s Marten’s first NACAC, so please be gentle to him” she implored. Unfortunately, he does not seem to have done any research into NACAC before coming, as his speech ignored the fact that the audience was made up of people who work with students and families who want to go to college. Instead, he focused on the growth of the ACT’s market share, and the development of even more tests. That seemed like an interesting start. He said that the ACT was created in 1958 not as an aptitude test (a dig at what the A used to stand for in SAT) but as one to help with placement. “To include, not exclude”. Sadly, he didn’t really return to this theme again. He spent the next 20 minutes describing companies that ACT has recently purchased and spun off into the new “ACT Assessment Technologies”, recent experts in psychometrics that he has hired as part of his goal to “build a team of world-class scientists”, and new tests that the ACT will be rolling out soon. Over a dozen people walked out during this session, one grumbling under her breath “I’ve never had a bigger waste of time in my life”. Roorda did take questions at the end, and while he demonstrated more empathy in this part of the program, it may have been a case of too little, too late. When a teacher from a Native American school in Washington described her students driving 90 miles to a test center only to have their (ACT approved) calculators disqualified by the proctor, Roorda was genuinely disturbed and promised that his team would look into the situation. On the other hand, when a college counselor from New Hampshire asked a follow up question about increasing the number of test centers so rural students wouldn’t have to travel so far, he was told “America is a big place, we have 6 to 7 thousand test centers across the country and more centers will increase costs. We want to keep prices lower. But if we get a signal that in an area there is too much travel we could look at [it]. Students should communicate with us about this.” I can’t imagine how much more costly it could be to have more schools host the ACT, and if it makes life easier for the test takers, it seems desirable, but what do I know? While keeping costs lower may be a concern, when he was asked if the ASPIRE and PreACT tests are “a price grab”, all he said was “the ASPIRE and PreACT are totally different and not comparable” but implied that schools should administer both to students (along with a new set of assessments that start as early as 3rd grade). That’s a good answer. Roorda merely said “We think colleges are missing an opportunity by going test optional. More, objective information is good and badly needed, both for schools and students. Grades may not translate into readiness.” Considering that many colleges that make submission of standardized tests optional do so because they find a student’s transcript to be the best predictor of college success, this seems to be a needless insult to the audience. Along the same lines, he also criticized grade inflation at the college and high school levels and predicted that the ACT score might someday serve as the proxy for “bright, engaged and aware” that a college degree “used to signal” but no longer does. He’s right that exposing societal ills is beneficial, but millions of students don’t take the ACT to diagnose America’s racial and economic problems, they take them to go to college (or, increasingly, as a measure of their public high school’s success in preparing students for “college and careers”). If the makers of the ACT are aware of disparities among different groups in the population, why don’t they try to equalize for that in their tests? I was glad to be able to attend these sessions. I felt that I learned a lot about the state of standardized testing, and while neither Coleman nor Roorda chose to focus much on what Coleman called the “bloodsport” between SAT and ACT, it was pretty clear to me that these very large companies, while “non-profit” for tax purposes, have a great economic imperative to increase sales and market share at the expense of the other. Coleman said “We made the new SAT to be much better than anything else. I urge you to take a fresh look at the SAT”, while Roorda noted that the ACT gives a specific STEM (Science, Technology, Engineering and Math) score, and that “we don’t sell different subject tests like some others”. I hope that the leaders of the College Board and the ACT will continue to make themselves available to questions, comments and suggestions from the college admissions counseling community to make sure that they keep refining their products so that they best serve the students who spend so much time, effort and money on college admissions tests. I didn't attend because as you mentioned I didn't want to leave more frustrated. The last school year was awful, especially with the PSAT and SAT. However, the ACT quickly caught up to the SAT with what happened for the September test date. For over a week when I called ACT, I heard the following message, 'we are experiencing a higher than usual amount of phone calls – all agents are busy. Please hang up and try again later".